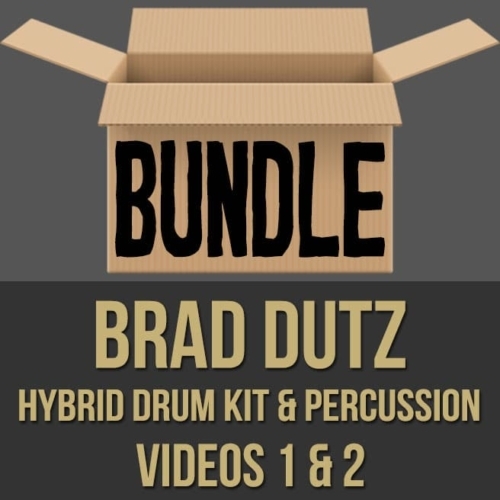 Description: This discounted bundle includes both videos 1 and 2 from Brad Dutz's "Hybrid Drum Kit & Percussion" series. 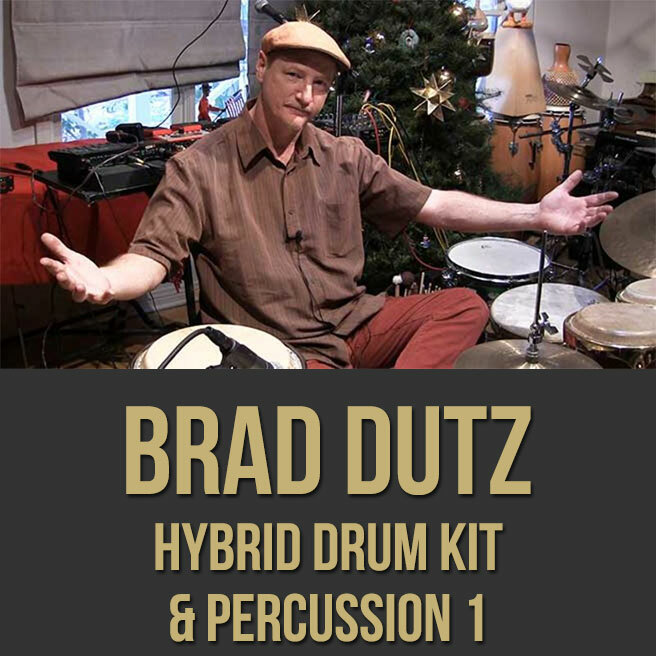 Video 1: In part one (1 of 2) of this hybrid drum kit and percussion lesson, acclaimed percussionist Brad Dutz shows you why he's been called to play on over 250 albums and a slew of film and TV sessions. Brad demonstrates how drummers and percussionists can think "outside the stick" in order to get new unconventional sounds, not possible on a traditional drum set. 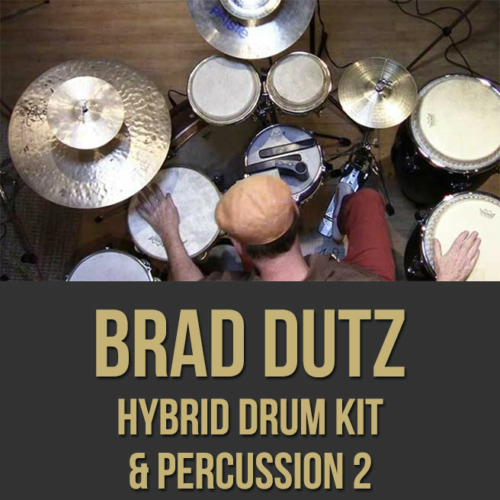 If you are looking to expand your sound palette and get more creative with your drumming, this hybrid drum set masterclass is for you! 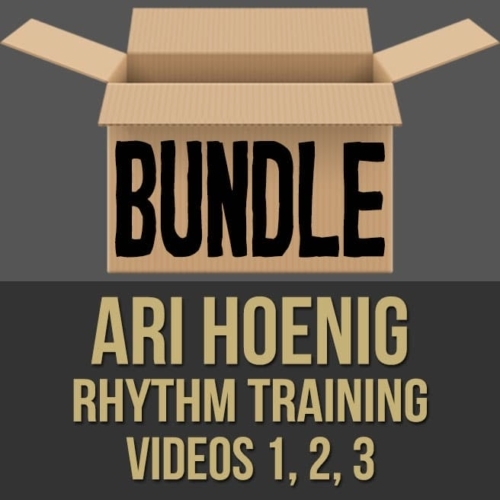 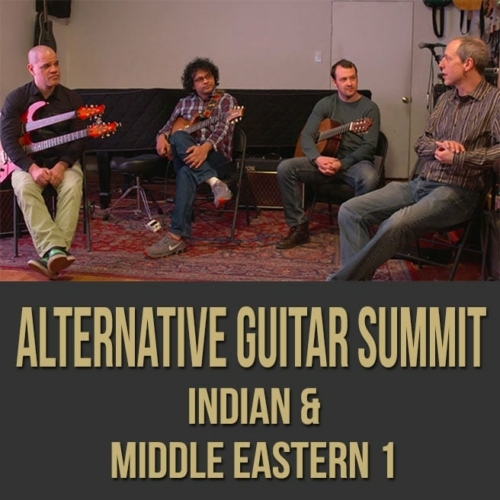 Topics Covered: Independence, The Hybrid Drum Kit, Technique, Creativity, The Cajon, Congas, The Jingle Tom, The Jingle Snare, Sticks to Hands, Dum, Tek, Ka, The Pandeiro, Square Shaker Techniques, Swinging on Percussion, Thinking in Triplets, The Sonic Palette, Bongo Accompaniment, The Surdo Drum, Transferring Feels, Cymbals, Bending Pitch, Harmonics, Resonance, Etc. 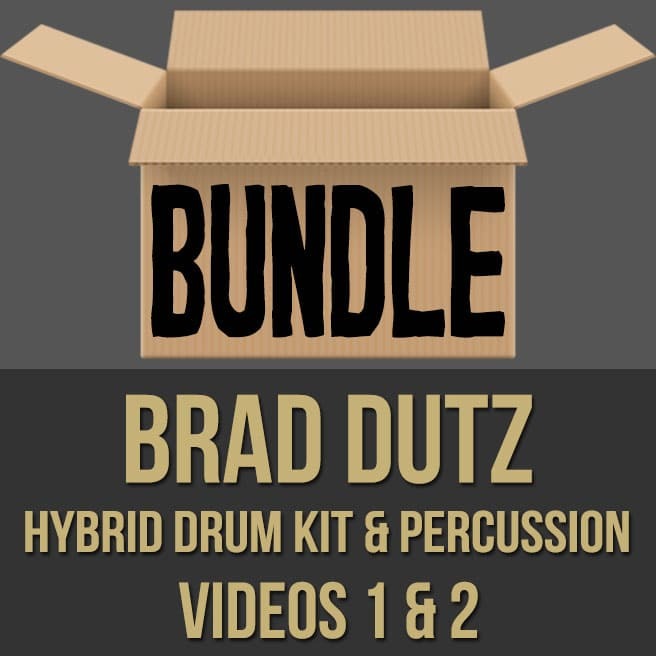 Video 2: In part two (2 of 2) of this hybrid drum kit and percussion lesson, acclaimed percussionist Brad Dutz shows you why he's been called to play on over 250 albums and a slew of film and TV sessions. 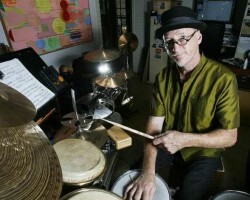 Brad demonstrates how drummers and percussionists can think "outside the stick" in order to get new unconventional sounds, not possible on a traditional drum set. 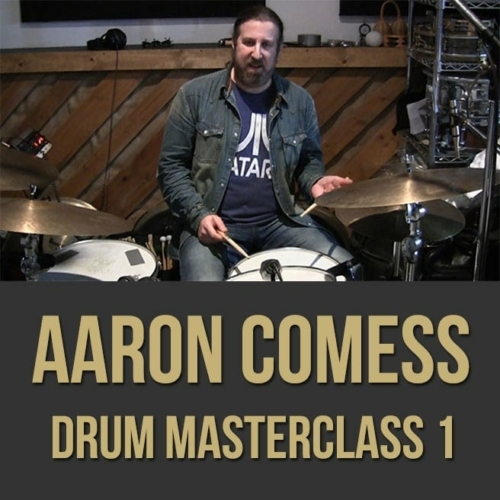 If you are looking to expand your sound palette and get more creative with your drumming, this hybrid drum set masterclass is for you! 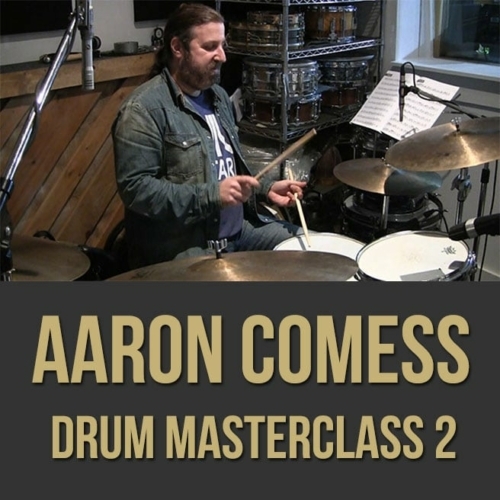 Topics Covered: Independence, The Hybrid Drum Kit, The Bones, Complex Rhythms, Preparing the Drums, Vinyl, Guiro Sticks, The Cajon, Congas, The Jingle Tom, The Jingle Snare, Sticks to Hands, Marbles, FX, The Sonic Palette, Using Different Sticks and Utensils, The Frame Drum, Pods, Using Wok Brushes, Rattle Sticks, Mallets, Cymbals on the Drum Head, Ping Pong Balls, Achieving a Uniform Sounds, Creativity, Etc.